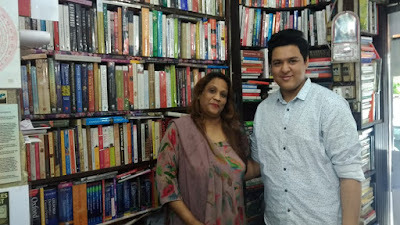 Today we are having a wonderful young author from the beautiful city of Solan, Nikita Gupta. Let's explore her literary journey. She is 15 years old which made her the youngest love fiction author in India. Hi Nikita, welcome to Writers Destination. 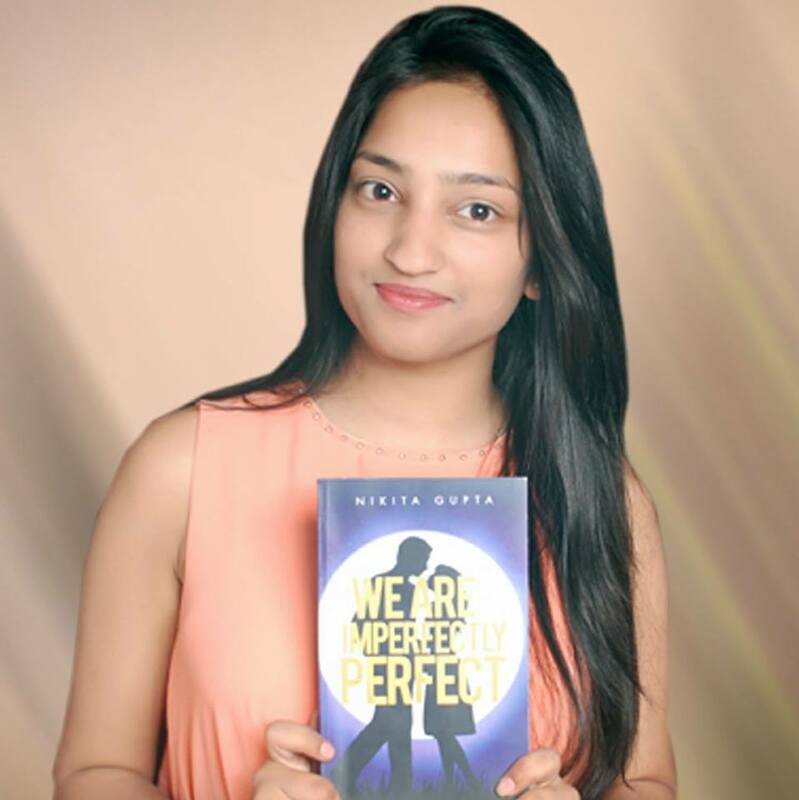 Myself, Nikita Gupta, am the youngest author in Love fiction genre at the age of 15 years. I hail from a small town Solan in Himachal Pradesh. I am a person who is highly fascinated by nature’s beauty, nice writings and beautiful souls. To continue with my introduction, I love writing, reading and designing and certainly that’s why I am into books and fashion designing. Talking about my other interests, like any person, I love travelling, exploring new things, eating new varieties of food, listening to music and just be myself. To be honest, I don’t really find anything challenging when it comes to writing but for sure it’s not less than a challenge when I find myself stuck at some parts of stories where I don’t know how to continue. Also it’s a challenge to me when I find it difficult to connect with the readers. The biggest challenge is to form a story where readers can relate themselves to it. When I can’t do that, it seems a challenge to me. I have been writing since the age of 14 years. It was at this age only when I started to write my first book “We are Imperfectly Perfect”. It took me almost 1 year to finish my first book. It was the year full of keeping a stable balance between my studies and writing. It was a year of endless struggle to fulfill my dream of becoming a published author but what can I say? The book has proved out to be completely worth all the struggle I have to go through. Well I am always fascinated by the grand destination weddings of super rich persons, beautiful locations and life of tourist in Goa which is one of my favorite place. In fact when I am reading or writing I get carried away by these thoughts. Being a person who loves and appreciates good writings, I loved to read from a tender age. Storybooks and novels occupy the most of the space in my room and I believe this love for reading and my parents’ support has got me here and helped me to begin writing. Reading different stories had helped me form a unique story in my mind and when I came across this ebook App, WattPad, where I could read and write, I decided that I’ll write. The story I had in my mind, became my words and keypad became my pen and that is when I realized that becoming an author is what I intended. There are many things which inspired me to write my first book. I got inspiration and ideas from many small things around me. Different novelists inspired me. When I walk with a backdrop of nature, my mind and heart are at peace and then I used to find myself with many ideas. Also my grandparents inspired me. I also used to get inspired by my readers on WattPad who used to tell me what more to write and help me improve it. My upcoming book is a sort of Sequel of my first book “We are Imperfectly Perfect”. 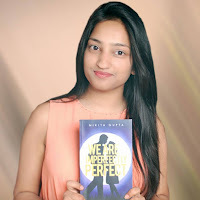 Chahat and Aryan, a couple in “We are Imperfectly Perfect” are shown as a perfect pair but in the end Chahat leaves without any explanation and readers are already very eager to know about her. So my next book is about the story of Chahat and Aryan. Being recognized as the Youngest Author under Love Fiction category is my biggest accomplishment so far. Well this title is probably every young author’s dream and when I am addressed by this title, I really feel elated and ecstatic. Also bringing smiles on my readers’ faces is one big accomplishment for me. I am really good at fashion designing and very few people are aware of it. Since I am introvert to some extent that is why only a few people know that I have a thing for fashion designing and am really good at the same. The best way to reach me is to connect with me on my Facebook Page by the name ‘Nikita Gupta’ or leave a mail or connect with me on WattPad, ‘nikkitag’. You can also find my book on Amazon both in paperback and Kindle Edition. The hardest part of writing this book was the time when people would start to raise contradictions about how a 14 years old girl could write a love fiction. Talk about criticism. I feel future of reading and writing is very bright. During last a year or so we have seen books of so many first time writers being published and all the books are getting so many readers. However trend is being shifted from writing with a Pen and Notebook to writing on computer and on the reading front from paperback to digital platform. To become a better writer as an adult we have to bring a change in our mindset as a teenager or a child. A writer should have full knowledge about the context and the outer world. If we start knowing and understanding the outer world at an early age then indeed we’ll be a better writer as an adult. The interview was great. Very interesting and different from my past interviews, I must say. Being such a good motivational speaker and the best seller author at such a young age is a real big deal. All the questions asked here shows how capable and efficient you are. Whenever I am not writing, I love to do designing or have a walk around in peace or maybe with a backdrop of music. Chetan Bhagat will be my reply because He is very inspiring when it comes to being a mentor and a very capable author. Aryan Kapoor is a handsome, fun loving and a filthy rich businessman. Aryan has fallen for Chahat and surprisingly Chahat seems to share the same feelings. The perfect couple is envied by everyone but what happens when destiny decides to play hoax with them? What happens when Chahat suddenly disappears? Will they find their way back to each other? Will Chahat find her way back to Mr. Kapoor? Everything seemed like a surprise after becoming a writer but the biggest one is that being a writer helps you meet a lot of new people. The people who teach you lot of things like my readers do. I learn a lot of new things every day from them. I think this is the biggest surprise for me that I realized I can learn so much from people who are almost strangers but not a stranger at the same time. No. I guess everything is covered here but like most of the definition of a perfect author or a poet is not asked here. According to me, an author is a person who, when writing, aspires to bring a positive change in the society or writes to get self-satisfaction. All I wanna say is don’t keep your talent to yourself. Only a few people have the talent to write so use it up and write great works. We and the entire world are waiting to read some fresh, good and refreshing work from aspiring writers like you.